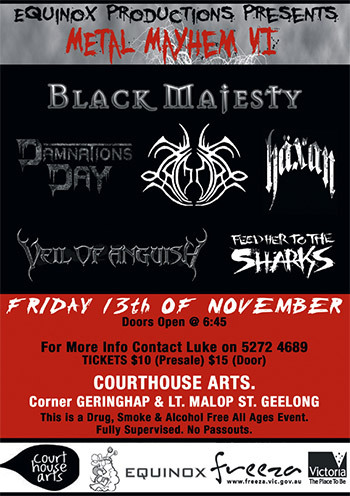 Black Majesty will be playing a headlining show at 'Metal Mayhem VI' in Geelong, Australia this November the 13th. The venue for the night is Courthouse Arts, located at the corner of Geringhap and Lt. Malop Streets. See you all there!